Chomhgairdeas le gach duine a ghlac páirt i bhFeile an Aonaigh i mbliana. 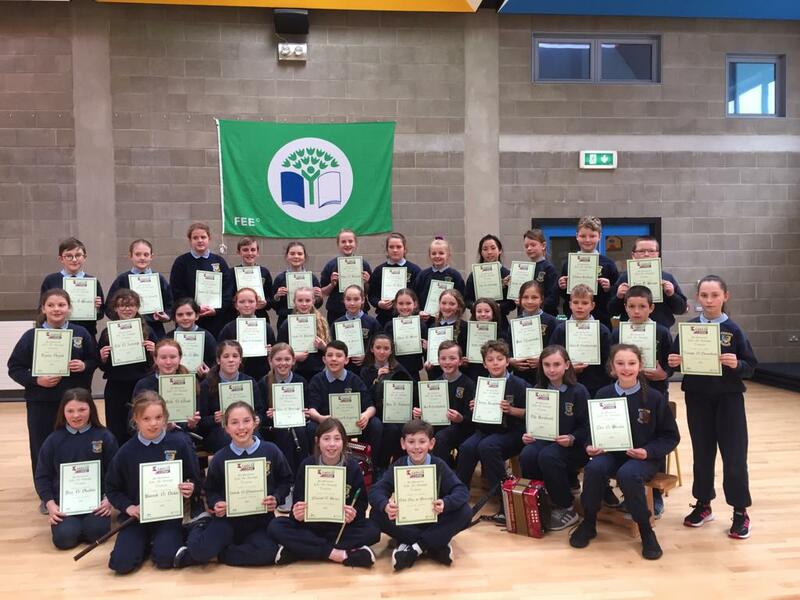 Ms. Boland’s group came first in the Slua Amhránaíocht. Bhuaigh Dominika Kozlowska (Rang 1), Jane Boland (Rang 5) agus Louise Griffin (Rang 6) Teastas Ardmholadh sa chomortas ealaíne.